Ibo et Non Redibo: No Fire Can Stop a Burning Heart! It was not an easy visit. 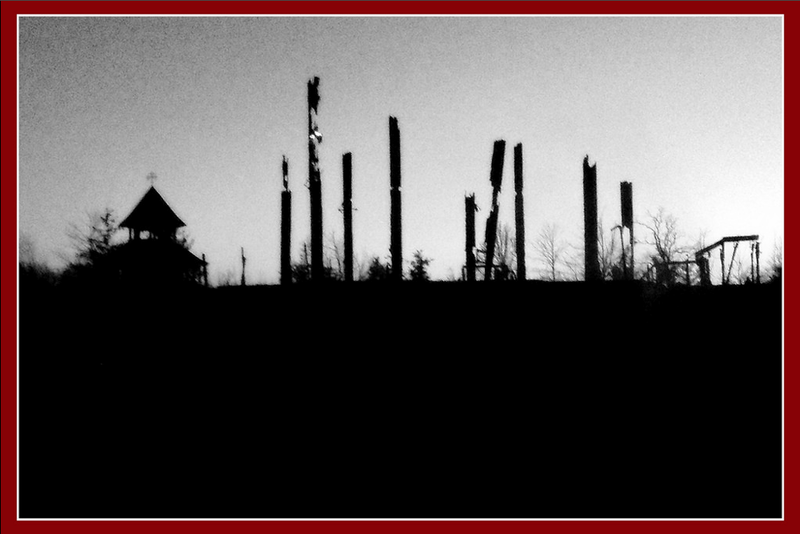 The church that I came to love was a heap of ashes; all that remained were the main wooden beams, still smouldering. Its beautiful hand painted (in the Byzantine tradition we say “written“) icons: destroyed. All the fine liturgical vestments: destroyed. Hymnals and Divine Liturgy books: destroyed. Everything was destroyed but two items: the chalice containing the Eucharist and one of the books of the Gospels, saved by a brave fire-fighter. That being said, Fr. Roman Galadza, the pastor of the Church, seemed to have taken this much better than I did. A few hours earlier, he helplessly watched his beloved Church burn. Only an hour or two after the burning, he organized a moving Thanksgiving prayer service in front of the burned Church: to thank God for all the blessed years that the parish had together in this beautiful temple. He quoted the Book of Job: “The Lord gave, and the Lord has taken away; blessed be the name of the Lord!” (Job 1:21). Throughout the day he encouraged all of us, telling us that indeed it is the people that make up the Church. The physical Church is a place where the Church, the body of Christ, gathers and worships God. This can always be rebuilt. “We will build again!”, he encouraged us. 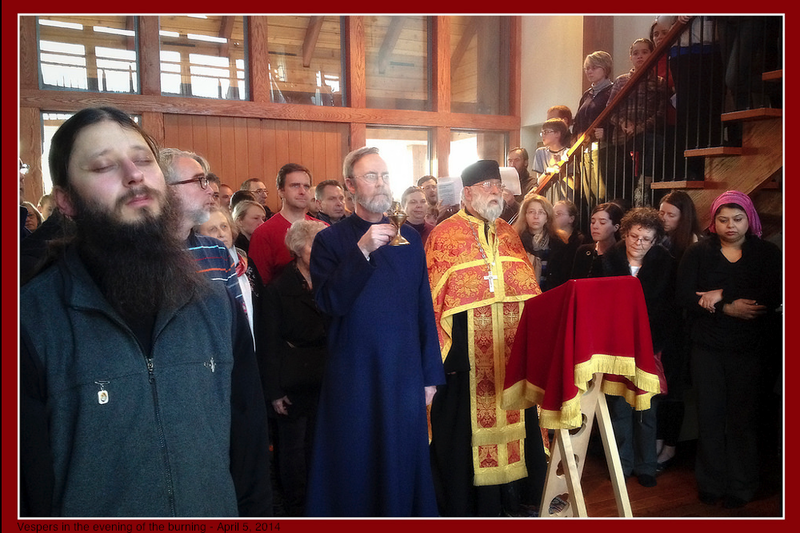 Immediately they arranged a location for the next day’s Sunday Divine Liturgy. As I was hanging around the rectory after the disaster, I witnessed a very moving exchange between the pastor and a parishioner. A man came into the living room with a large bag of carefully wrapped objects. “What in the world can this be?”, I asked myself. Very carefully he began to take out his personal icon collection. He offered these icons to Fr. Roman and the community, that they be used during the temporary liturgies at the local Catholic school and later for the new church. What a gesture! What self-gift and generosity! And it has only been maybe two to three hours since the burning! Indeed, the Church cannot be quenched by physical flames. No disaster can take away our love and our ability to give of ourselves. We never know when we will be asked to carry the cross. Sometimes we are ready for it, but often we are caught off guard. We then complain and shake our fist at the heavens, cursing and asking for an explanation. We find heaven silent. No answers come. Despair takes us and the cross crushes us with its weight. To whom do we turn? The cross of Good Friday shows us the greatest injustice ever. The Christ, the Son of God, the innocent one, was nailed to a cross. Indeed this is the tragedy of all of history: God came to his own and his own rejected him and killed him! At the same time, it is the victory of all of history. The cross of Christ speaks to our disasters and our crosses too. Christ says: there is no way to life without your cross. There is no joy of the Resurrection without the gloom and pain of the crucifixion. For us who are still carrying our crosses and who sometimes are crushed by these same crosses, the message of the cross is this: face your cross, do not turn away and run. It is only when you face the reality of your life, your cross, that you will find God, true joy and peace. Once you come face-to-face with your cross, you are then given a very difficult choice: to respond to it with love and goodness or to respond to it with hatred and evil. It is our Garden of Gethsemane. This is the battle that needs to be fought within, with the help of God’s grace. If we choose love and goodness, then we will redeem our cross, we will participate in Jesus’ own choice and victory – repaying evil and injustice with love and goodness. We will find peace and joy. It is this that I witnessed last Saturday when I went to see a suffering, cross-bearing, community. The Lord did not disappoint them; they received the strength to face this cross with faith, hope, and love. I too was strengthened by their witness and for this I am thankful. 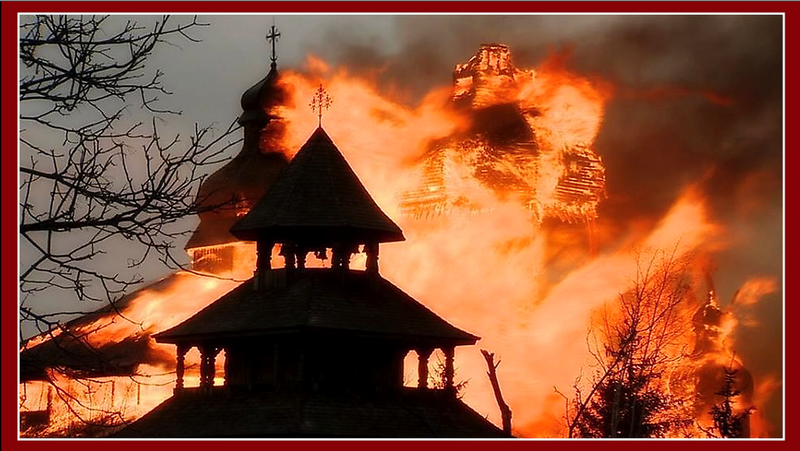 If you would like to help St. Elias in any way, please see their website for more information. Let us keep them in our prayers.